Fashion is ART! Fashion Show in Seattle, WA. 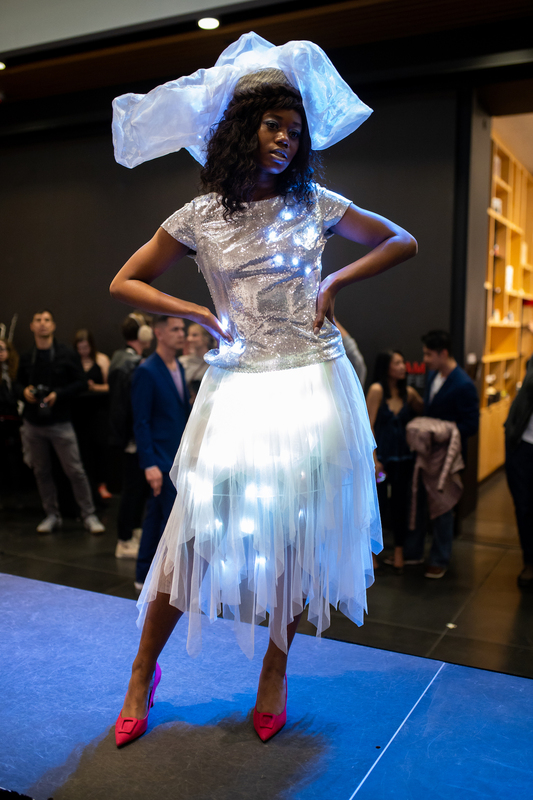 We lit up the runway with new couture and ready-to-wear LED FashionTech garments. On April 30th we participated in Fashion is ART! In Tacoma, Washington with garments from both our ready-to-wear collection and new couture designs. Unlike a traditional runway show, Fashion is ART! elevated fashion to the level fo fine art, with an on-site studio photography session and live drawing and painting of the models. The photographs and live art sessions were open for audience members to observe, giving a glimpse into the process of documenting and capturing fashion. Gold Goddess Dress and Dystopian Jewelery, photographed by Roscoe Coquia and modeled by Brianna Crowe. Lumiere Atelier Sequin Collection Top with Ethereal Collection Tulle Skirt, photographed by Ivy Chen and modelled by Makaela Nellams. 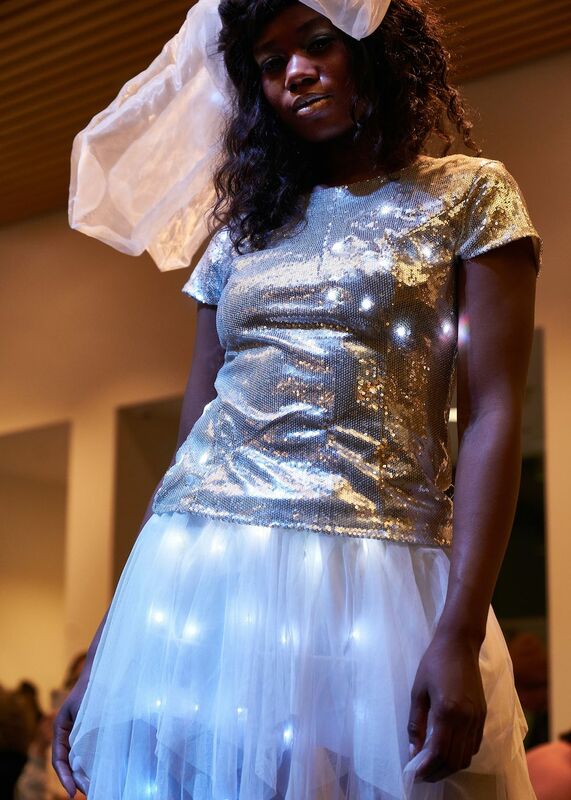 We showcased five garments at the event with a range of themes and inspirations. 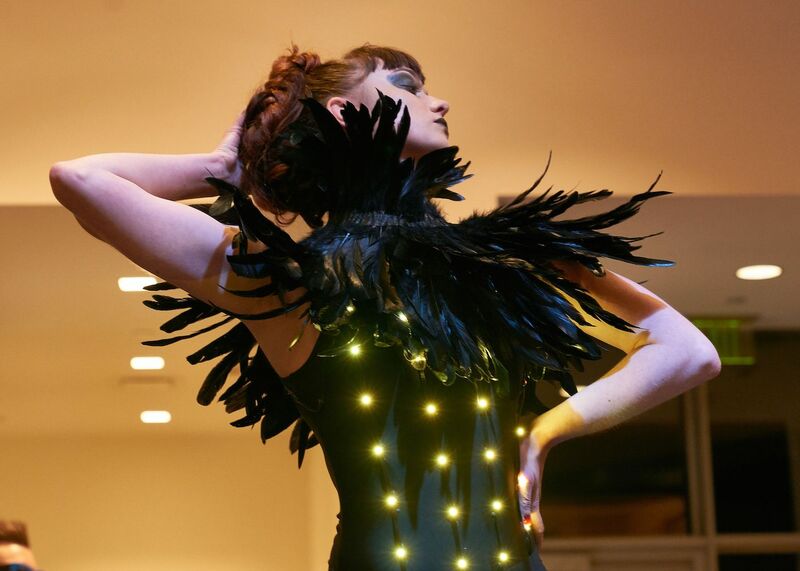 Our Dark Power Corvid attire dressed up our iconic LED bodysuit with feathered accents, referencing crows and a festival mood. 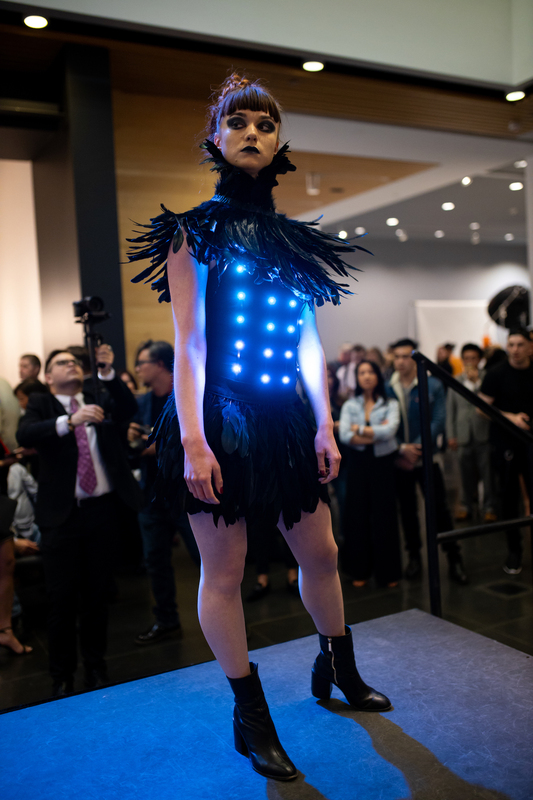 Our Lumen Couture projection hat was on display, showcasing real-time projection mapping and body tracking. 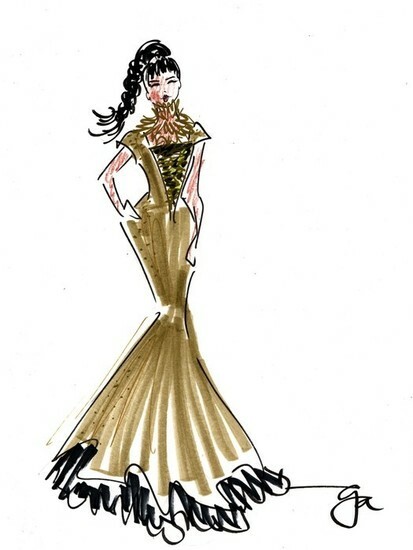 We released two new couture designs with gold, glamorous accents. We also released a new ready-to-wear design: the Ethereal Tulle skirt. 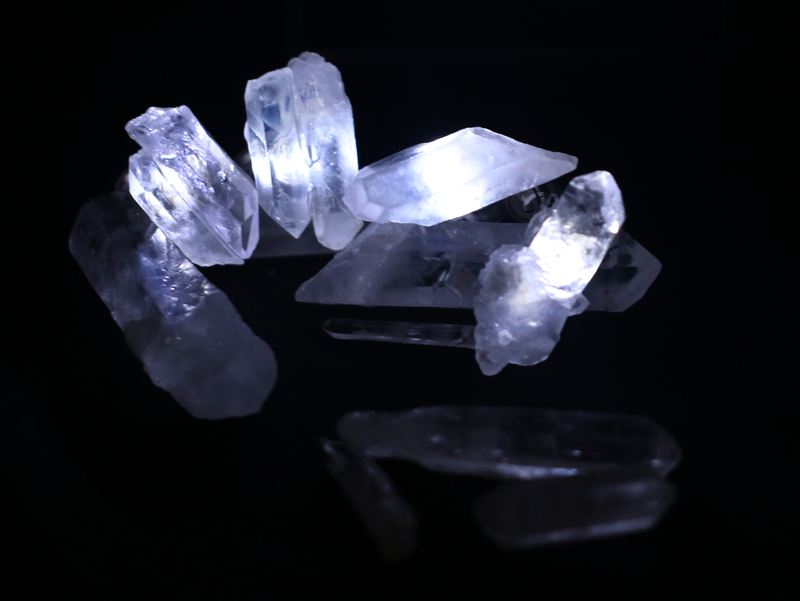 Other designers featured at the event include Chiara Zuccolotoo, Dawnmatrix, Jersey Virago, Nox Fashion House, Sloane White Couture, and Stone Crow Designs. 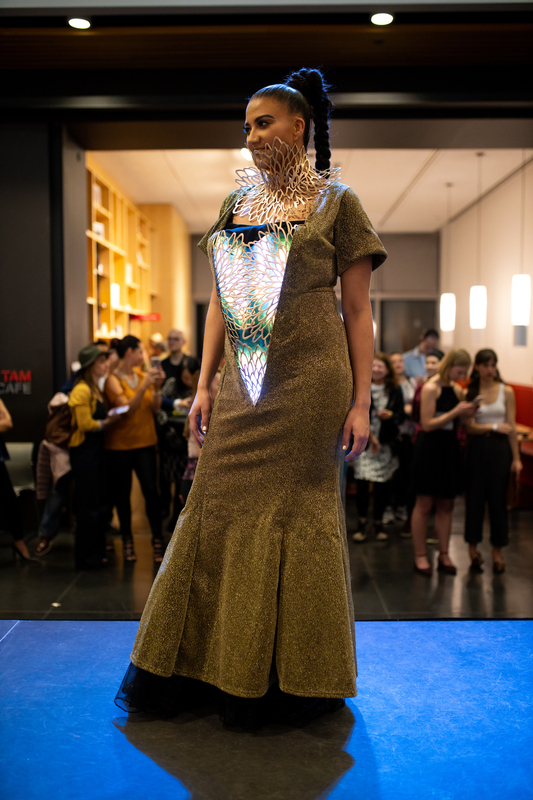 Huge thanks to Fashion District NW for putting together this event, and Sophie Amin from Phi:Illuminated Designs for handling garments and being our onsite fashion technician. 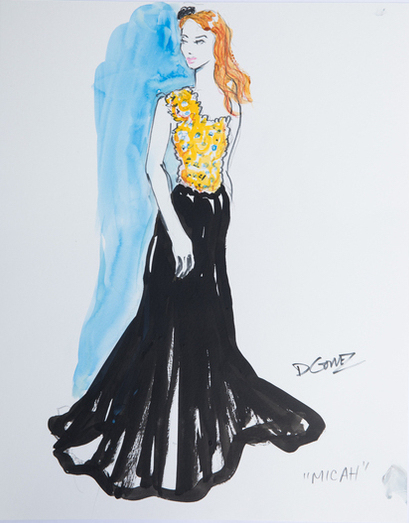 Illustration of our Gold Goddess dress by Drawing Blueberry. Gold Goddess Dress and Dystopian Jewelry, photographed by Roscoe Coquia and modeled by Tim Lawrence. 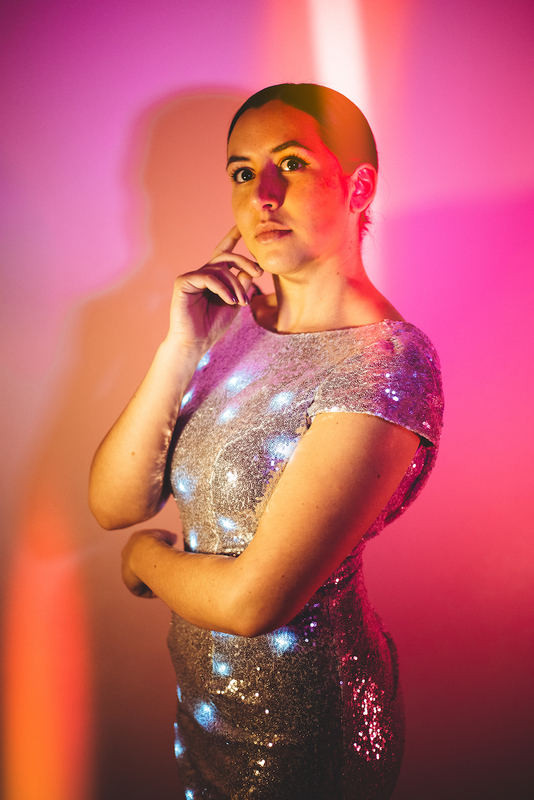 Gold Gala Dress, photographed by Tim Lawrence and modeled by Micah Moore. Painting of our Lumen Couture Projection Mapped Dress by Michelle Osborne. 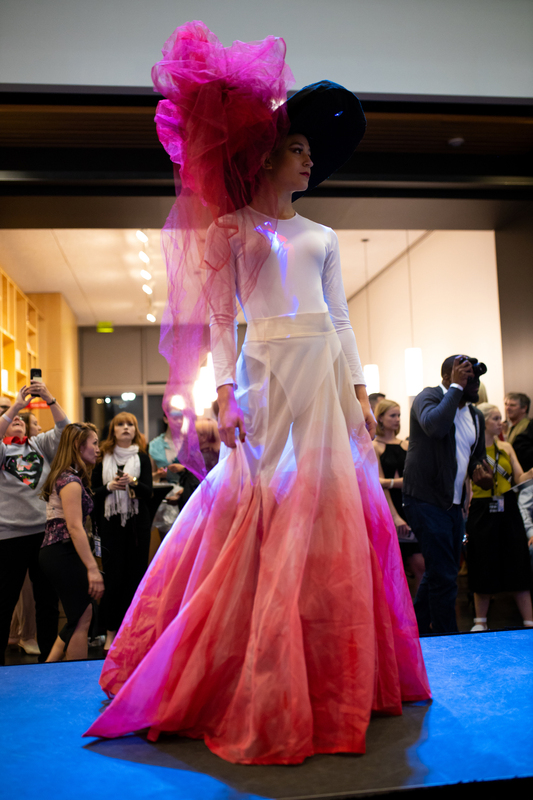 Lumen Couture Projection Hat, photographed by Tim Lawrence and modeled by Justice Rusing at Fashion Is ART! in Tacoma, WA. 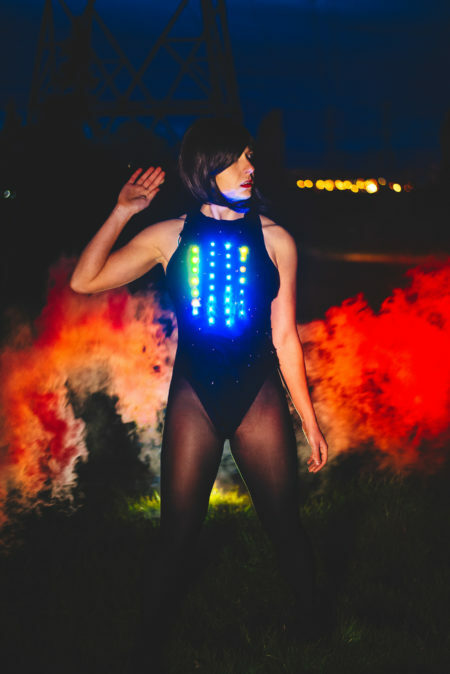 Our dark power bodysuit photographed by Tim Lawrence and modeled by Deanna Molenda. Lumiere Atelier Sequin Collection Top with Ethereal Collection Tulle Skirt, photographed by Tim Lawrence and modeled by Makaela Nellams.